The Bible is full of references to memory: God commanding the Israelites to remember God’s covenant, to remember the Exodus from Egypt, to remember to observe the commandments and many more. Remembrance is a core practice in Judaism, connecting communities throughout history in holiday observance, ritual practice and cultural customs. One of the most revered ancient of Jewish symbols is the Menorah. The Menorah is a seven branch candelabra, which held a place of honor in the Temple in Jerusalem. The word Menorah is rooted in Hebrew and other Semite languages’ verb for “producing light” (Or in Hebrew). Ancient coins from 30-40BC depict the Menorah as very similar to its current contemporary design. The original Menorah was lost when the Second temple was destroyed around 70AD. Titus Arch in Rome depicts the Hebrew slaves’ march into the city, carrying the captured loot, including the Menorah. Many stories abound as to the circumstances of its disappearances and its possible location, though they remain a mystery. Throughout history, Jewish families treasured a silver replica of the Menorah as a ritual object. It was often taken along when families immigrated across countries and oceans and many were lost during the Holocaust: looted or melted for their silver. The Hanukah Menorah, or Hanukiyah, is often confused with the seven branches Menorah, though it is a different ritual object. It is used to celebrate the holiday, its 9 branches commemorating the 8 days of miraculous light in the recaptured temple with an additional branch, dedicated only to lighting the other eight. 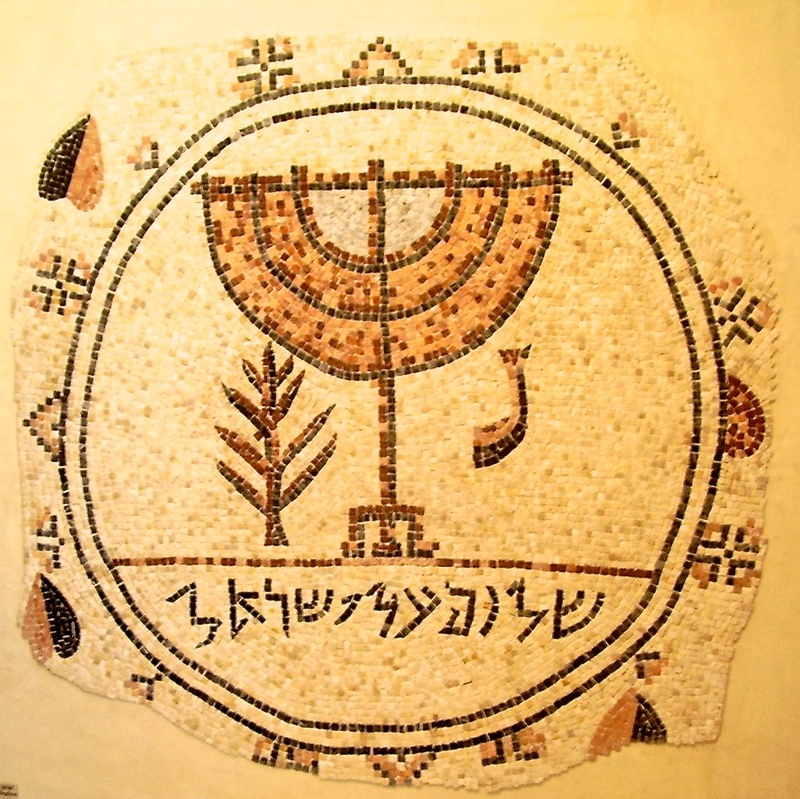 Contrastingly, the seven branch Menorah, has been seen as a symbol of nationhood and a shared history and destiny. When the State of Israel was established in 1948, the founders sought to connect Jewish history in the land with its modern reincarnation and turned to the Menorah as a symbol of peoplehood. The Menorah was chosen as the new state emblem and appeared yet again, on coins and on state stationary. Today, the Twelve Tribe Menorah welcomes visitors to the Knesset, the Israeli parliament, in Jerusalem – and in that the circle of remembrance in completed.